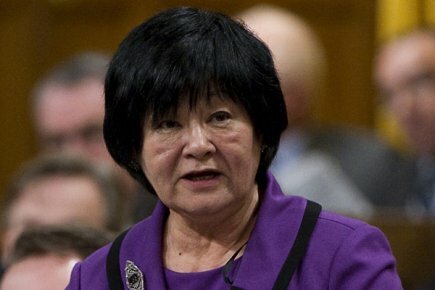 The departure of Bev Oda from the federal cabinet lineup calls for a few comments about addictions. Firstly, a few words to the good about Oda. Once she put her resignation on the dotted line, commendations, both tentative and effusive, have been coming forward. By several accounts, many close to her ministry spoke well of her. They suggested that she had successfully carried out several difficult manoeuvres to get a rather difficult-to-handle Canadian International Development Agency into a more efficient and effective modus operandi. I want to withhold comment about Prime Minister Stephen Harper’s choice of Julian Fantino as Oda’s successor. He may have some hidden strong points that could make him the right person at the right time, but we will see. People are often thrust into leadership because of obvious strengths and, later, waylaid by seeming weaknesses. Such may have well have been the case both with Oda and with a very popular Ottawa Catholic priest, Father Joe LeClair. People in other parts of Canada will not know much about LeClair, but he has been a household name in Ottawa for most of the past two decades. Here, he was pastor of the 8,000-strong Blessed Sacrament parish in the inner suburb of The Glebe. Among those in his pastoral care, at different times, have been former Liberal prime minister Paul Martin and former centre-right Ottawa mayor Larry O’Brien. In 1998, LeClair was a leading figure in pulling substantial Catholic support behind the Billy Graham mission, which has had considerable continuing influence in the National Capital Region. This week, it was announced that charges of fraud and money-laundering have been laid against LeClair. The allegations have yet to be proven in court But it is well-known that whatever happened between Blessed Sacrament and LeClair was closely related to the priest’s self-admitted gambling addiction, played out for years at a casino across the river in Gatineau, Quebec. Oda, too, had an addiction – arguably much lower on the seriousness scale than gambling. Her chain-smoking was well known and, for the most part, did not interfere with her administrative abilities relating to her cabinet post. But it became a factor at a conference in London, England, last year, where, apparently because of the unexpected unavailability of a smoking room in one hotel, she found herself booking into another, more expensive establishment. When the extra room and resultant limo charges were revealed – along with the $16 price of a glass of orange juice – Oda offered to pay back the difference. But it was too late to avoid the tarnishing of her record as the political manager of a $5 billion foreign aid budget. Many Ottawa Catholics are heart-broken at learning that their pastor apparently had feet of clay. And many who admired Oda’s skills at managing the interface between international aid professionals and the conflicting interests of other related government ministries – like foreign affairs, international trade and immigration – are hoping that her loss to the world of politics will not undo the seeming good she has done. Within both religious and political organizations, there is often conflict between the rank-and-file membership and the professionals trying to initiate social changes. The four Liberal senators who signed the letter are Senate opposition leader James Cowan (Nova Scotia), George Baker (Newfoundland/Labrador), Jim Munson (Ontario) and Elizabeth Hubley (Prince Edward Island). The five Conservatives are Nancy Ruth (Ontario), Bert Brown (Alberta), Yonah Martin (British Columbia), Dennis Patterson (Nunavut) and Carolyn Stewart Olsen (New Brunswick). Of particular interest, from a communication perspective, is the fact that two of the signatories have previously served Canadian prime ministers in key media relations positions. Munson worked with Liberal prime minister Jean Chretien and Stewart Olsen, with Prime Minister Harper.